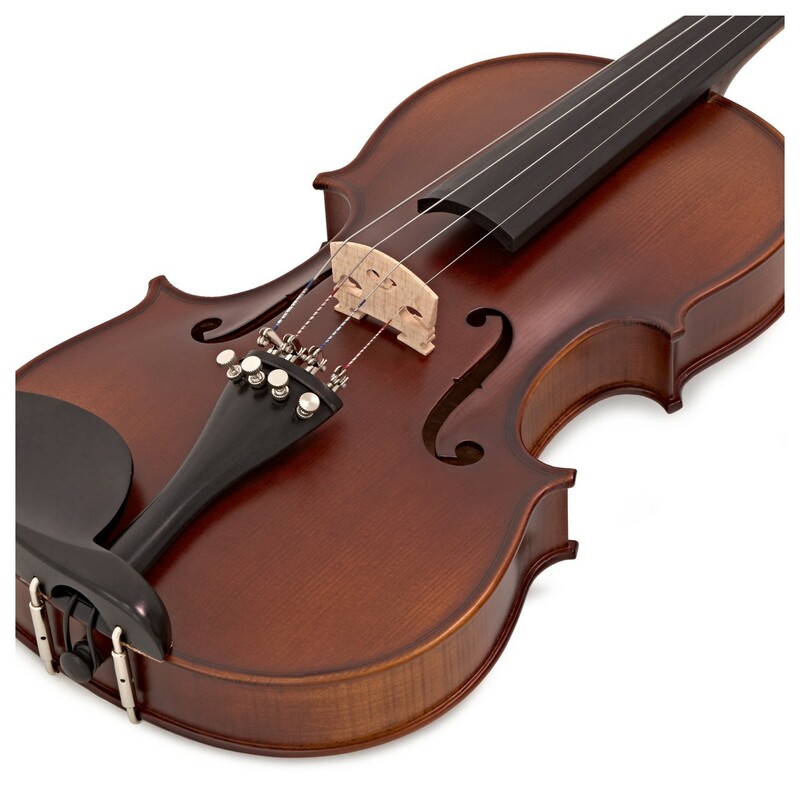 This Archer 44V-500AF Violin is a professional quality, carved solid wood instrument, ideal for progressing players to meet the ever increasing demands of their grades. 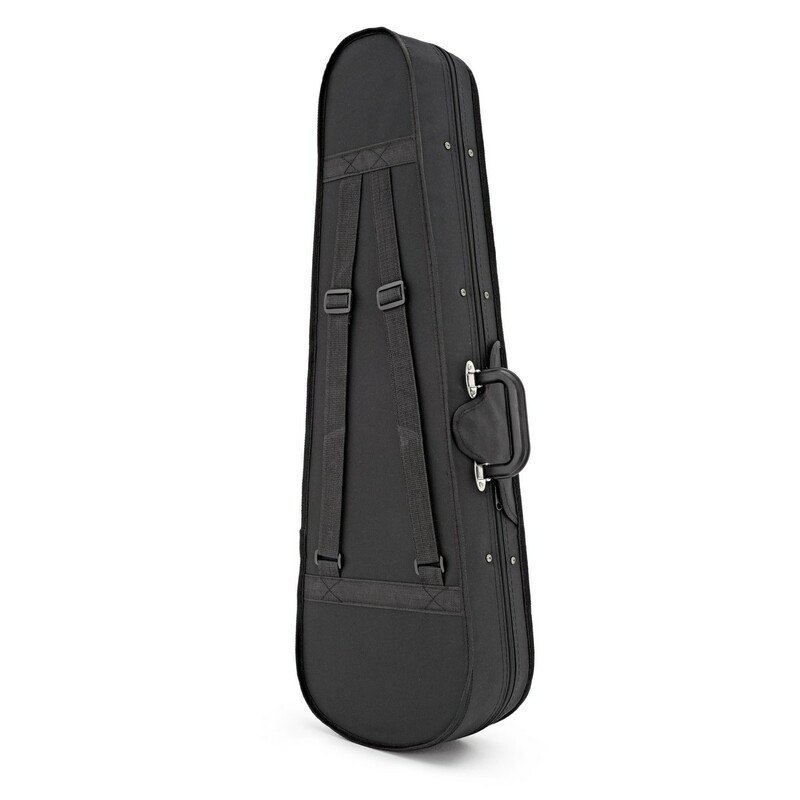 Supplied as a complete outfit with a hardwood bow and a lightweight hard case, this set has everything you need to play! 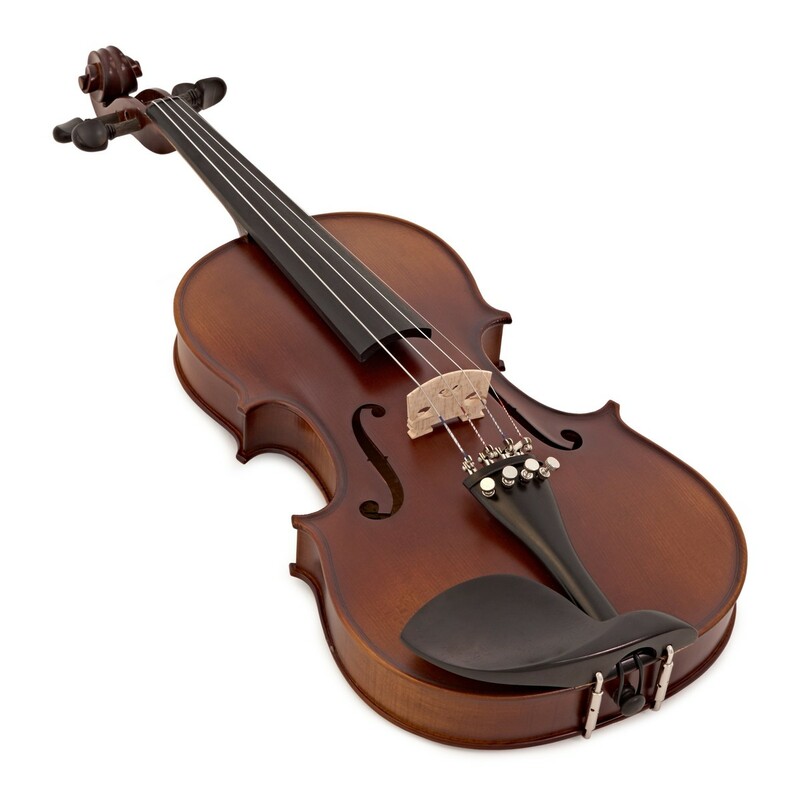 The Archer 44V-500 4/4 size violin is a premium instrument, ideal for advancing string musicians. 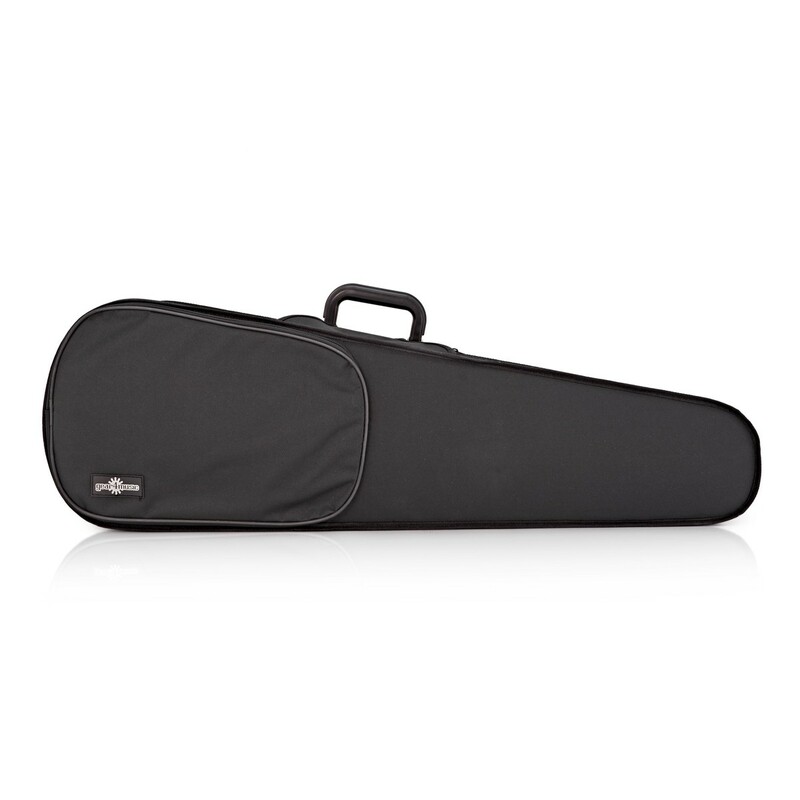 The full size is designed for teens and adults to practice and perform comfortably. 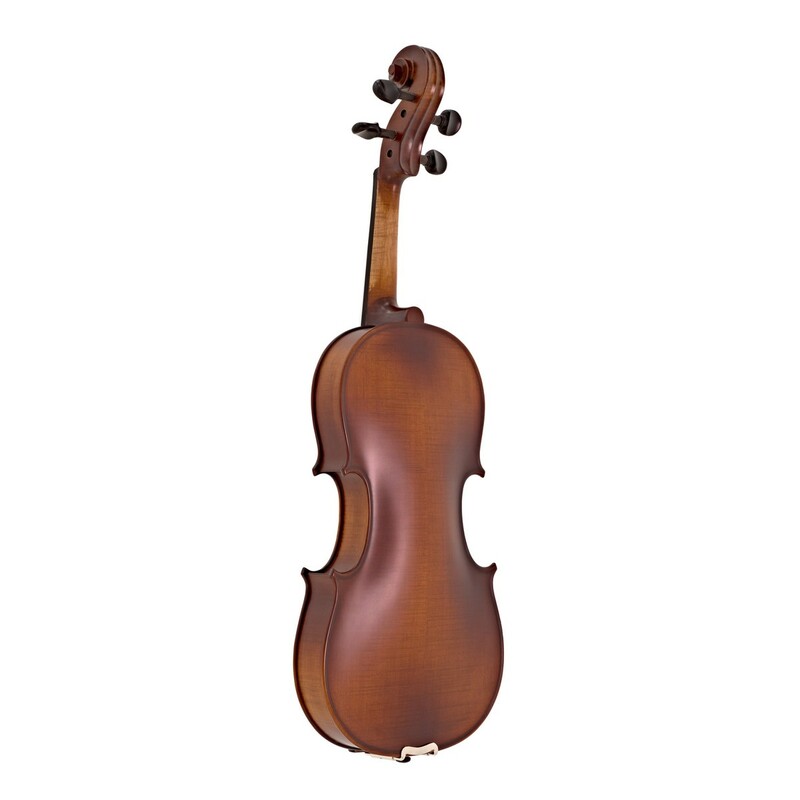 Featuring enhanced fittings and selected wood, the Archer 4/4 size violin has a classic look and a professional sound to match. With a premium spruce top the 44V-500 achieves superior projection and vibration. The maple back and sides are specially selected flamed pieces chosen for the 44V-500, to provide a professional and stunning body. The use of maple and spruce offers neutral tonal colour for a truly resonant, classic sound. As well as this, the 44V-500 is hand finished with a brushed on traditional oil varnish that allows the natural grain of the wood to show through. The Archer 44V-500's ebony fittings are hard and durable, with high quality tuning pegs, smooth fingerboard and sturdy tailpiece. Also featured is a maple neck with varnish gradient for improved playability and a high grade maple fitted bridge. This Student Violin comes complete with a hardwood bow, hard case and rosin so the learner has everything they need to get started straight away. The included bow is reliable and easy to use. It's crafted from hardwood because of its density and durability. 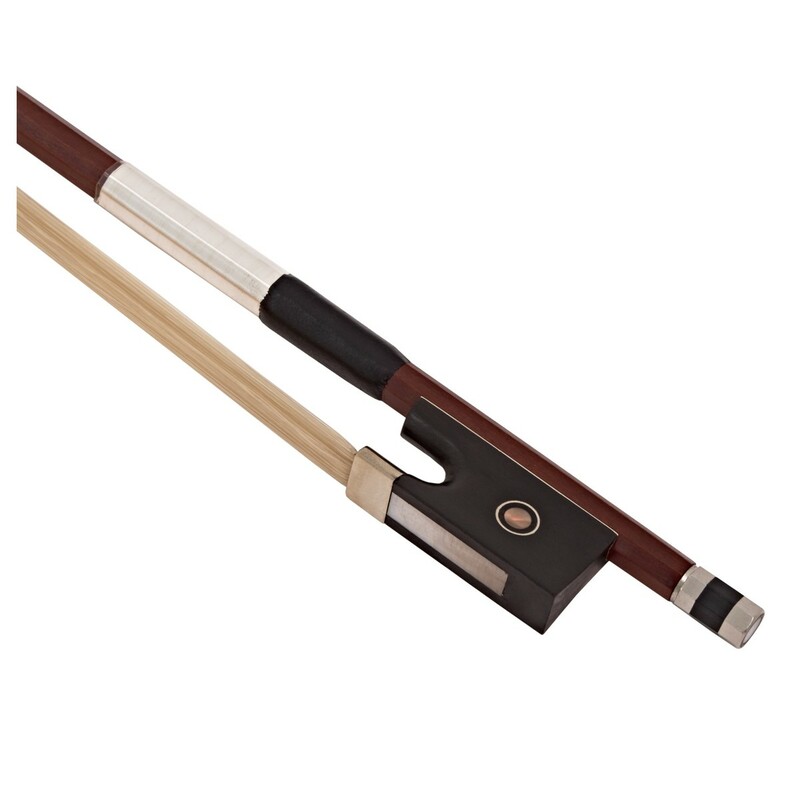 The horsehair on the bow is ideal for many beginners as it can withstand the stresses of a student developing proper technique. 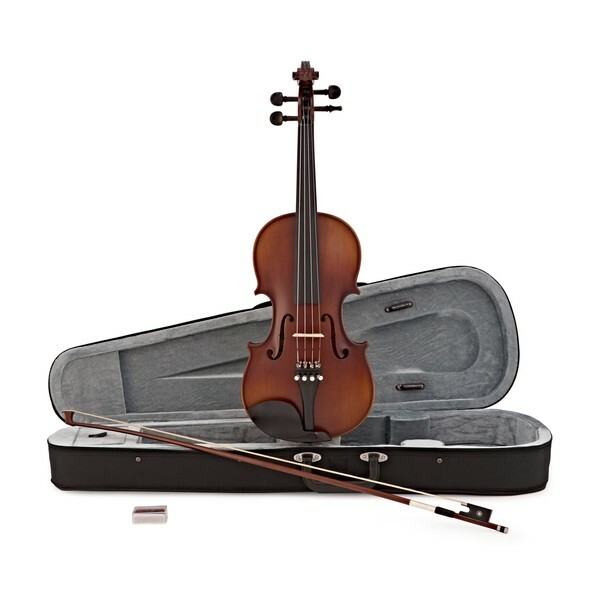 If you're just starting out or are simply looking for a more complete set-up you may be interested in the Archer 44V-500 4/4 Violin, Antique Fade + Accessory Pack by Gear4music which comes with a number of additional extras including tuner, rosin and music stand. "Any student, as I was, would be impressed by the striking rather than anonymous look of the instrument. There is much to celebrate - the glossy varnish coupled with the splendid 'antiqued' look would generate enthusiastic ownership." "The proportions of this full-size violin tick all of the required boxes. I particularly like the scroll and purflings." "In conclusion, without doubt the instrument is very competitively priced and represents excellent value for money." 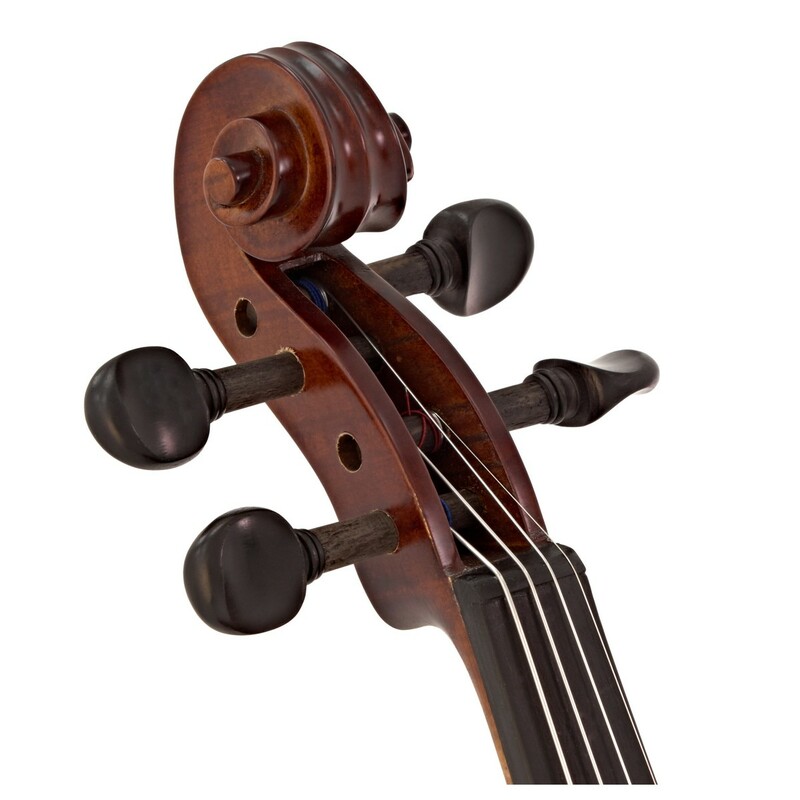 Please note - the video on this page depicts the Deluxe 4/4 Size Violin by Gear4music. Apart from the finish all other specs are the same.